Sue expressed her disappointment at the way people jump into conclusions. 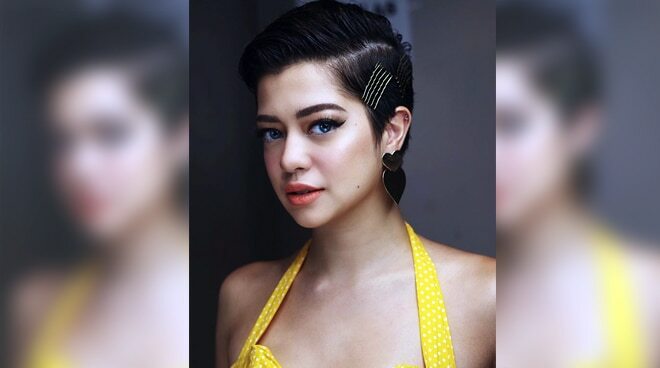 Sue Ramirez did not mince her words when she took to Twitter to address her disappointment over people who wouldn't stop questioning her sexuality. As she decided to go for a pixie cut hairstyle a couple of weeks ago, Sue felt disappointed over the way people viewed her choice to go for a shorter hairdo. "’Why did you cut your hair? Are you a lesbian?’ such a stupid question. Is that how we base sexual orientation now? Hairstyle? Really (sic)," she wrote on Twitter. "Nagdududa na daw sila. Wow. Duda talaga? Ano to? Krimen? Kasalanan? E kung totoo nga? Ano naman? Masama ba?" the Kapamilya actress added, uttering her disappointment on the way people view someone else's sexual orientation. Noting that she has nothing against anyone who belongs to the LGBT community, Sue added that she only feels frustrated about how people jump to conclusions when it comes to issues related to sexuality. "I am not offended to be called or asked if I am lesbian. There's nothing wrong with being so. I just hate how people judge sexuality so easily nowadays. Stop assuming over meaningless sht (sic)," she continued. "why did you cut your hair? Are you a lesbian?😭" such a stupid question. Is that how we base sexual orientation now? Hairstyle? Really? Nagdududa na daw sila. Wow. Duda talaga? Ano to? Krimen? Kasalanan? E kung totoo nga? Ano naman? Masama ba? I am not offended to be called or asked if I am lesbian. There's nothing wrong with being so. I just hate how people judge sexuality so easily nowadays. Stop assuming over meaningless sht.